I posted a photo of these on facebook at the beginning of the week and everyone was so excited for me to post the recipe for these awesome fruit roll ups! I’m so thrilled to be sharing it with you! 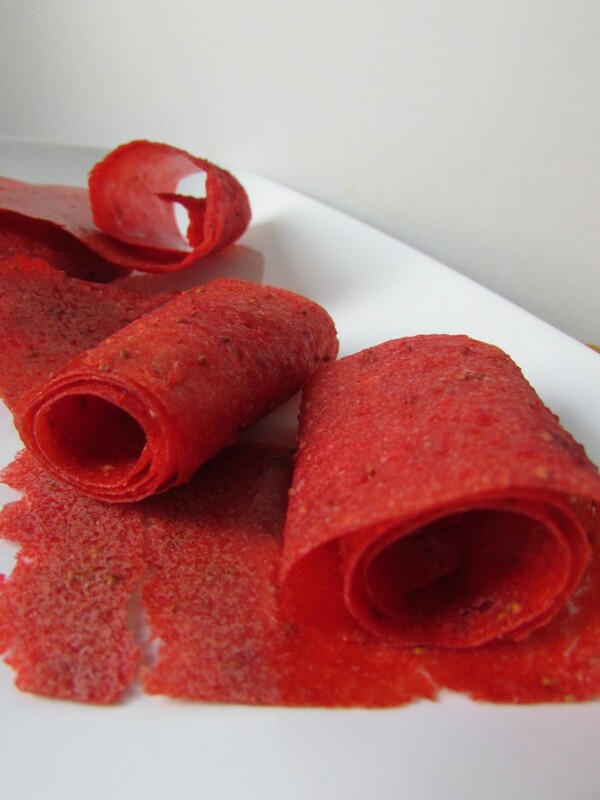 Do your kids love fruit roll ups? Do you know what’s in them? Here’s the list: Juice from concentrate, corn syrup, dried corn syrup, sugar and partially hydrogenated cottonseed oil. Fruit Roll-Ups also contain 2 percent or less than 2 percent citric acid, sodium citrate, acetylated monoglycerides, fruit pectin, dextrose, maltic acid, ascorbic acid, natural flavor and the following food coloring: blue 1, red 40 and yellows 5 and 6. I don’t know about you, but that’s something I wouldn’t want my children to be consuming! We know enough now about ingredients that we can make decisions to feed our children homemade, healthy, organic, all natural ingredient foods. I will definitely be making these for my baby when he/she is old enough to eat them! (Until then my husband will gobble up any flavor I make these in)! I made these with two ingredients (mango & strawberry) but you could just as easily make them with one fruit – such as strawberry (or any kind of berries, really). I haven’t tried it with something like banana or watermelon, so I’m not sure if that would work. Either way, these are just fantastic, and I know your kids (and you!) will love them!!! I cut mine in long strips so that could be rolled up like real fruit roll ups! These are so easy. I’m going to make them today! These look Yummy…What’s the best way to store them?? Hi Lauren! I’m sure they would do fine in a seal tight container for 5 or so days. They never even make it two in my house though!! 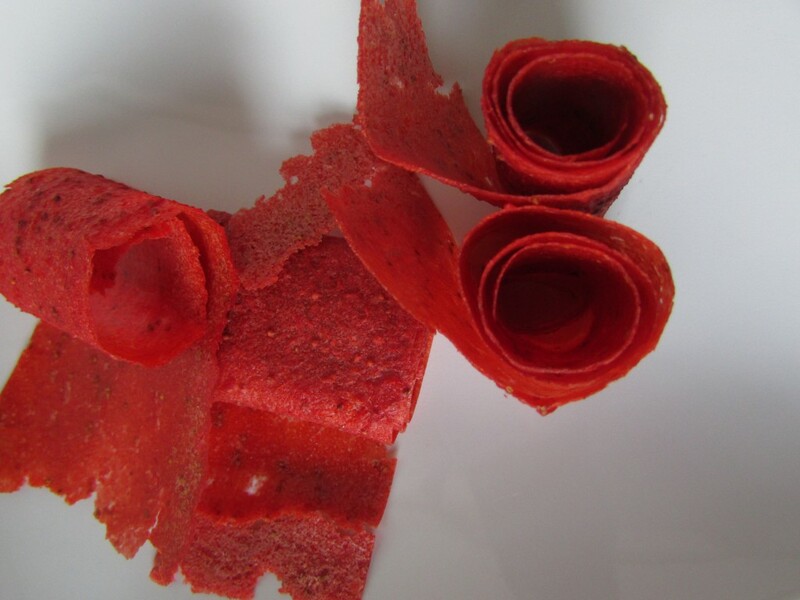 I have been making fruit leather for 30+ years. At first I lived in the high desert of CA and just used the pilot on my oven. I also used and still use my dehydrator. You can use any fruit. 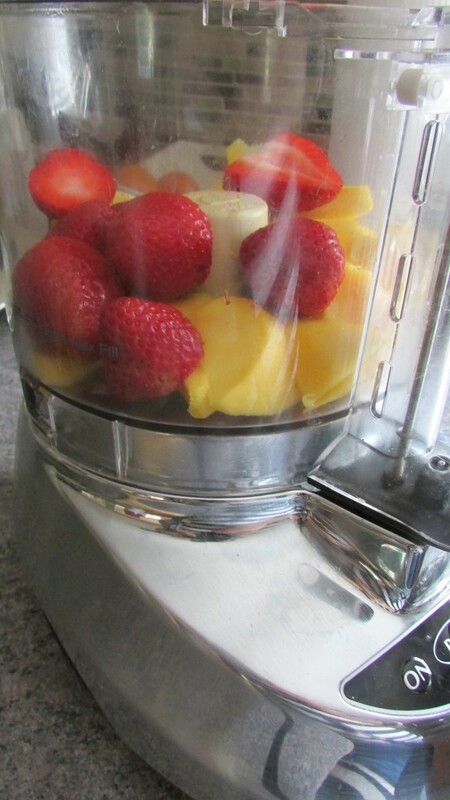 Combine banana with strawberries, all berries, pears, peaches, plums, apricots. Apples needed something else with it and so would watermelon. 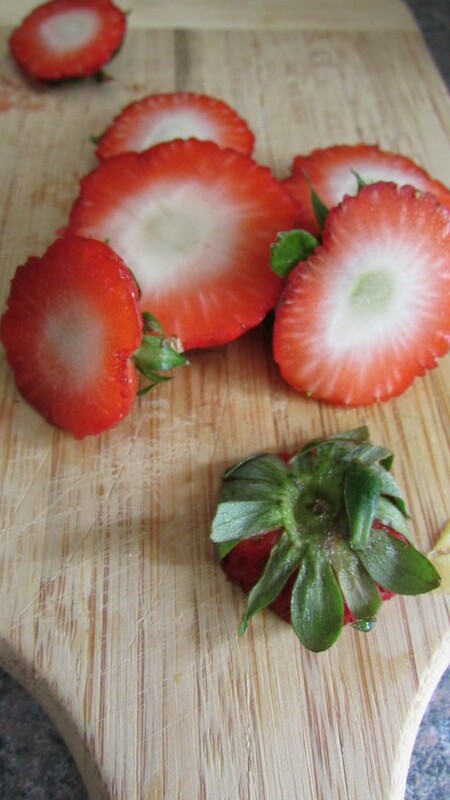 Since berries have seeds, expect little bumps that is ok. I dried it on saran wrap and rolled it up when done. Parchment paper sounds easier. The kids absolutely love it for school snacks. Store wrapped in air tight container and it can last for years if dried properly. Could you use frozen fruit for this recipe or would it end up with too much water? I don’t think that would work, unfortunately. But if you give it a try, and it does, let me know! I haven’t tried with anything frozen! Let me know if it works!